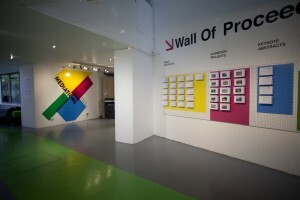 In order to facilitate dialogue amongst our conference participants on the paper presentations, exhibited projects and keynote sessions, we designed a ‘Wall of Proceedings’. This installation allowed participants to assemble their own proceedings, using keywords to arrange the content. 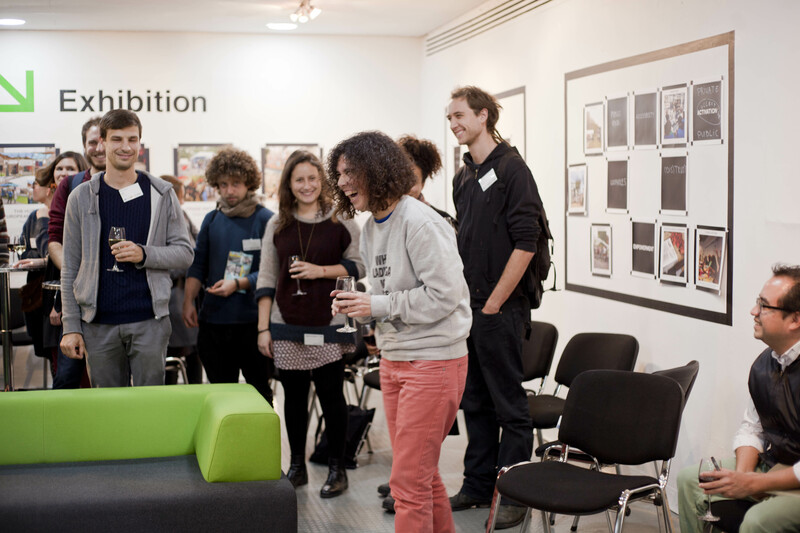 So, rather than offering participants a completed publication of the conference proceedings, we invited them to assemble their own personal publication. The wall also contained the session introductions, keynote abstracts and a selection of keywords to help categorise the content. We informed the participants that there was no strict order, rigid hierarchy or right/wrong way of assembling their publication, and that, in fact, we invited them to look for (new) connections and associations between the items, both emerging from the conference sessions and discussions as well as following their own logic and intuition. 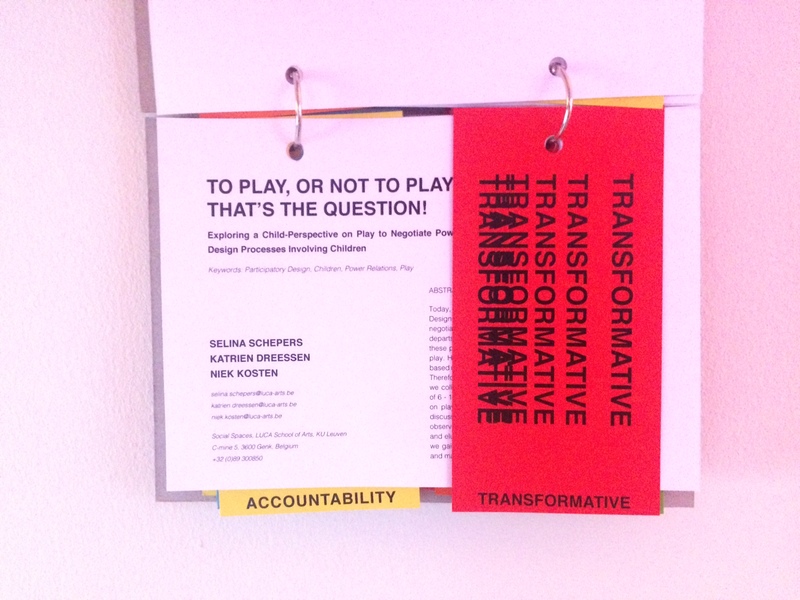 With this installation, we hoped the curation process would help participants create a personalised collection of work, to revisit during and after the conference, and to use as a tool for mediating, sharing and deliberating emerging concepts with fellow participants and peers. Next to these printed proceedings we also published a complete digital publication of the conference proceedings on the TRADERS website (www.tr-aders.eu/conference/proceedings/). Dpr-barcelona is an architectural research practice and independent publishing house founded by Ethel Baraona Pohl and César Reyes Nájera, which were invited to fulfil the role of critical respondents during the conference. After the introductions and welcoming words by the RCA Head of Research Emma Wakelin, the RCA Dean of the School of Architecture Adrian Lahoud and the TRADERS Coordinator Veerle Vander Sluys, dpr-barcelona presented us their critical position and intentions as observers, which was a motivational start for our conference audience. They communicated their practice, dpr-barcelona, as a dissident from standards, in order to scrutinise the standardisation and normalisation in the cultural field, in consumption and production, in education, in the political field and in society in general. They reminded us that we all have a role in society to be a critical observer, to view things from a different – critical – angle, and to communicate this. This is also how they interpreted their role during the conference; to embody the role of the outsider looking in, taking a critical position and communicating that during different moments in the conference in order to enable and take part in a transformation – a ‘different way of doing’. In the interactive exhibition sessions, a co-curatorial approach was employed to rethink theory through art and design practices. 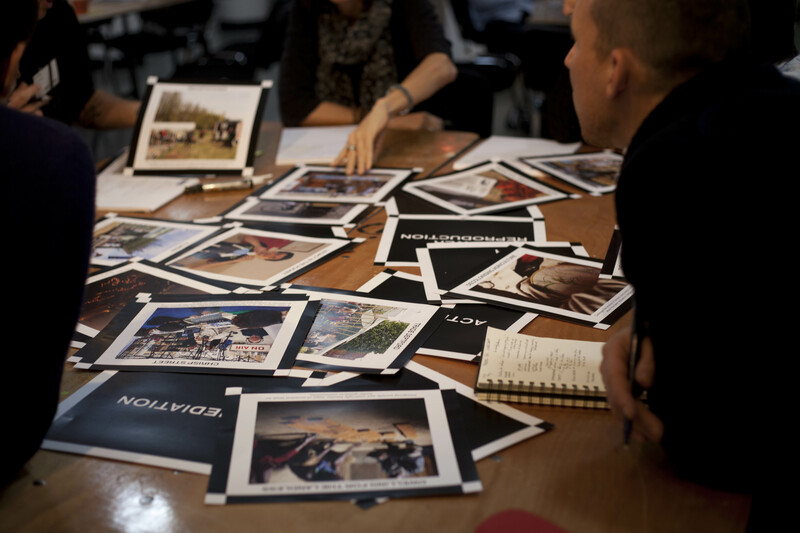 In this workshop, small groups of participants negotiated how different projects / practices can be represented in relation to each other and in accordance to a conceptual frame –namely, agency. 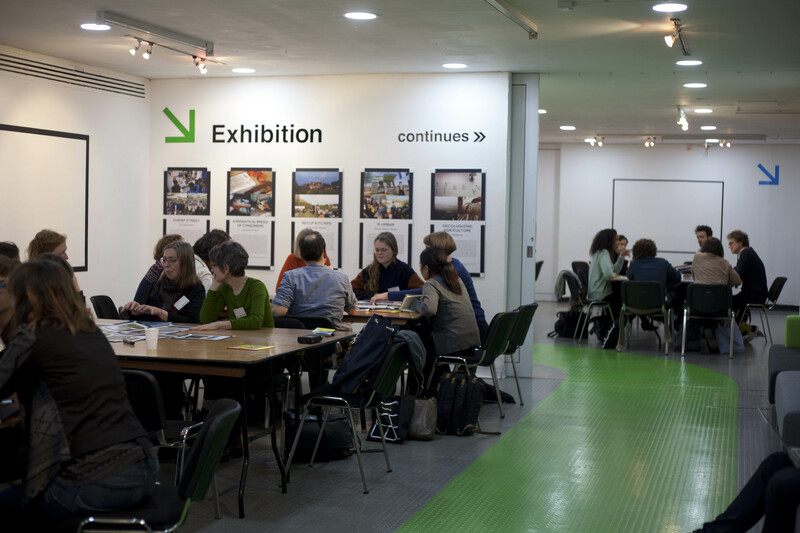 This dialogical and co-curatorial process focuses on understanding the wider theme of agency through the convergences and divergences of different art and design practices and approaches. The workshop aimed to unpack the notion of agency and expand its definitional contours by rooting it in practice and exploring it collectively through conceptual mapping. 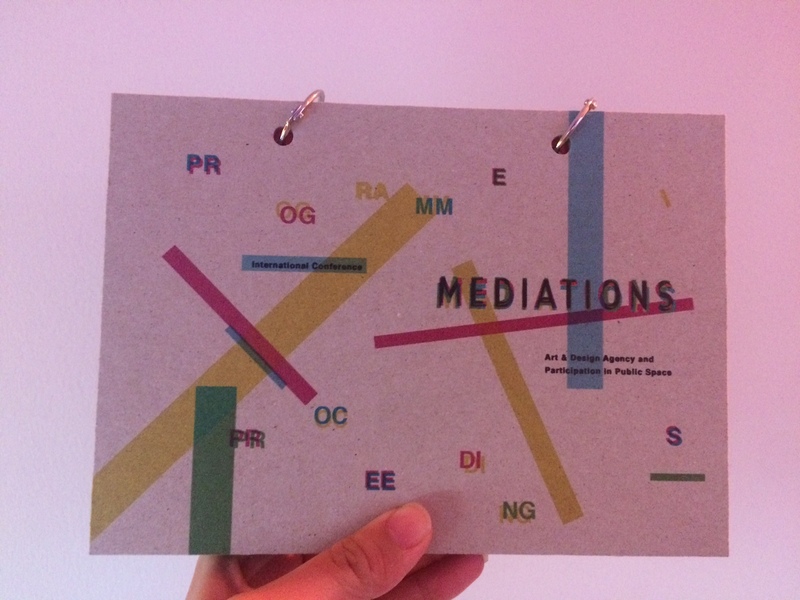 For MEDIATIONS, TRADERS ESRs Pablo and Michael – who hosted the exhibition sessions – selected 15 contributions of projects (realized or in progress), which deal with the agency of art and design practice to challenge, transform or disrupt the status quo. 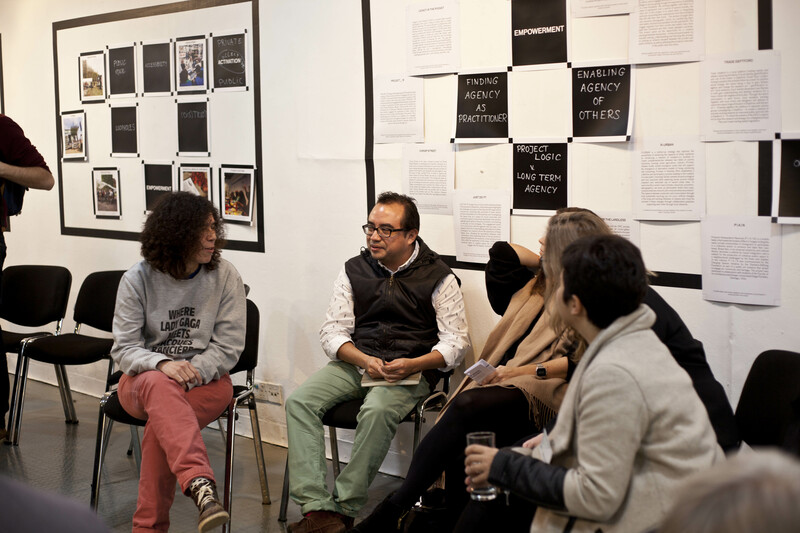 The notion of agency in art and design refers to practices that aim to be transformative and have a level of influence in the world around us. 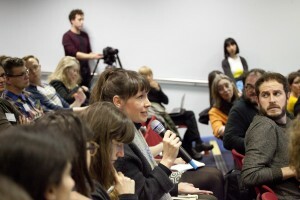 In two interactive sessions, conference participants engaged with the exhibited projects in a process of co-curation aimed at collectively untangling this concept through practice. 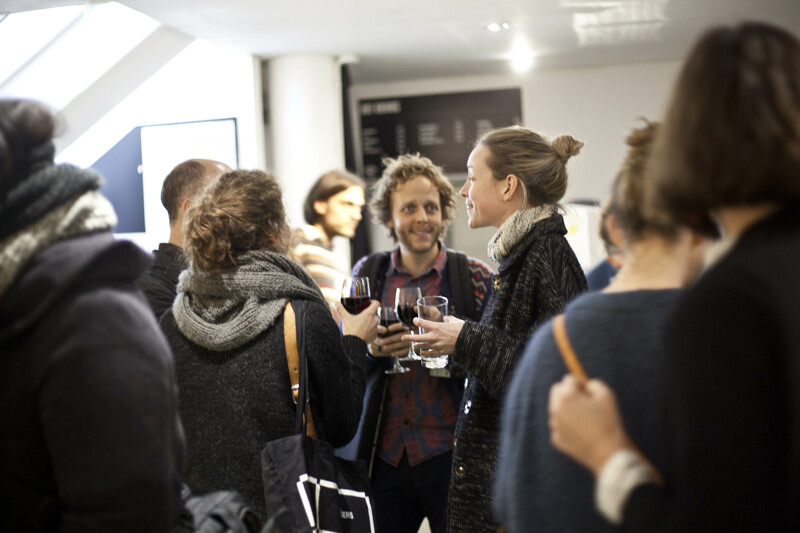 TRADERS exhibitions are spaces and moments for exploring the issues and themes underlying participatory art and design in/for public space. The main content of these exhibitions is sourced from the web-platform TRADERS TALK, an extension of the TRADERS project, which engages art and design practitioners and researchers in critical discussion and reflection through an online forum where projects are exhibited and critically discussed. 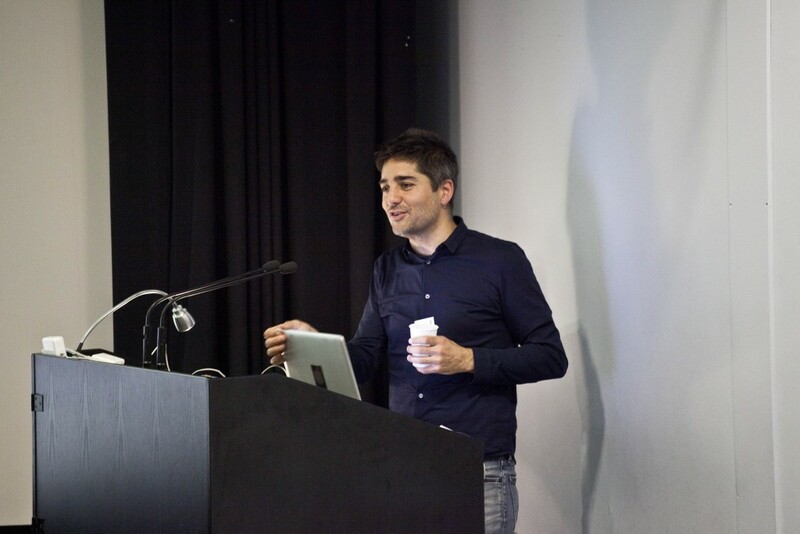 Ramia has been following TRADERS since its kick-off in 2013 and was happy to be invited back to give a talk. 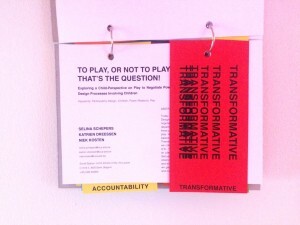 Her current research investigates the political agency and politics of design focusing on governance. Ramia’s background is in design and architecture and she describes herself as a practice-based researcher who also researches other designers and other design practices/projects. In her research, Ramia has been investigating activism, social innovation, and at the moment she teaches a class in Finland called design for government. The expansion of design in the public sector, she mentions, accompanies wider and more profound developments in Europe over several decades, in which governments have shifted from top-down command and control modalities, to bottom-up, so-called grounded, interactive and co-produced policy-making and planning. Design is increasingly employed to serve regions, municipalities, communities and citizens as well as companies. Especially in welfare states, as Guy Julliard and others have mentioned, design has thrived with the redistribution, deregulation and subcontracting of previously governmental services. 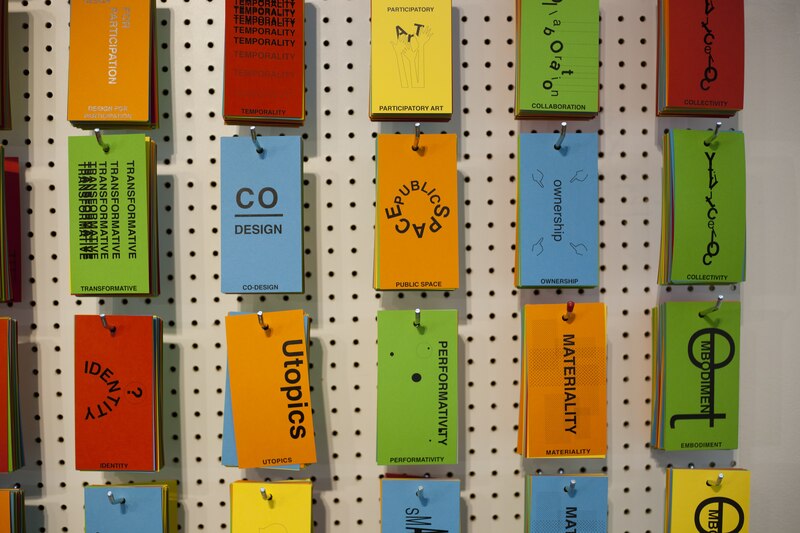 Today, design is a powerful instrument in (re)producing political ideologies and policies. This political condition or instrumentalisation and political reproduction is not new, she continues, but perhaps – and especially today- important to confront. 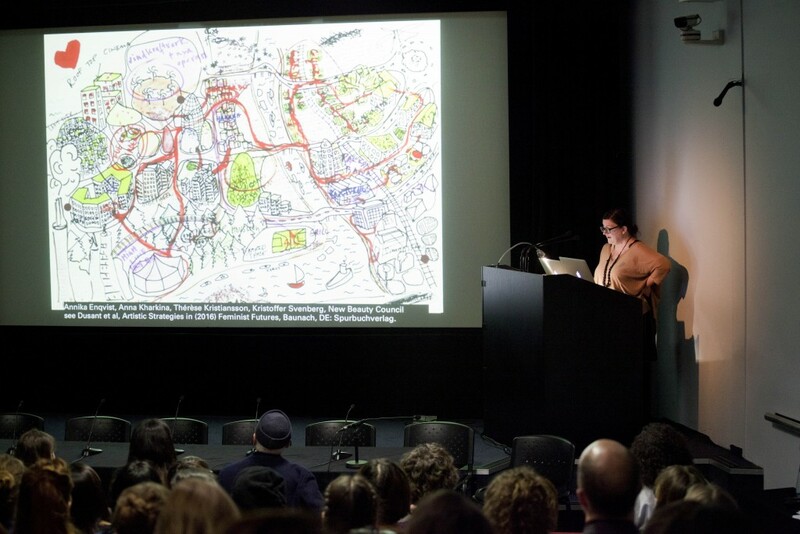 She continues by elaborating on different examples where she explored notions of access, agency and governance; ‘Design is inevitably circumscribed by political ideologies and structures, our agency is conditioned by and serves political agendas.’ Her work, she describes, ‘tries to explore criticism from within – interrogating the implications of design for as in within governmentality, including ways of engaging and political effects.’ In the rest of her talk she sets out to unfold some alternative politics and ways of engaging that she sees as productive and hopeful. After Ramia’s keynote, the conference participants had the choice of attending two different programme items during the parallel session. 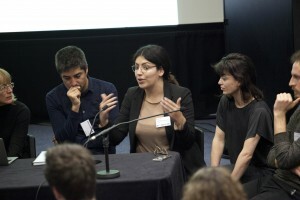 During this session, the first interactive exhibition workshop took place, and parallel to this the first paper session on ‘Play’ was held, where several participants presented their papers. Before Jane Rendell starts her talk by addressing the importance of the topics of the Mediations conference concerning the politics of design and participation, which she notes as incredibly timely in the context we’re working in today. Jane initiates her talk by picking up a quote on which Ramia Mazé ended her talk: ‘The personal is political’. 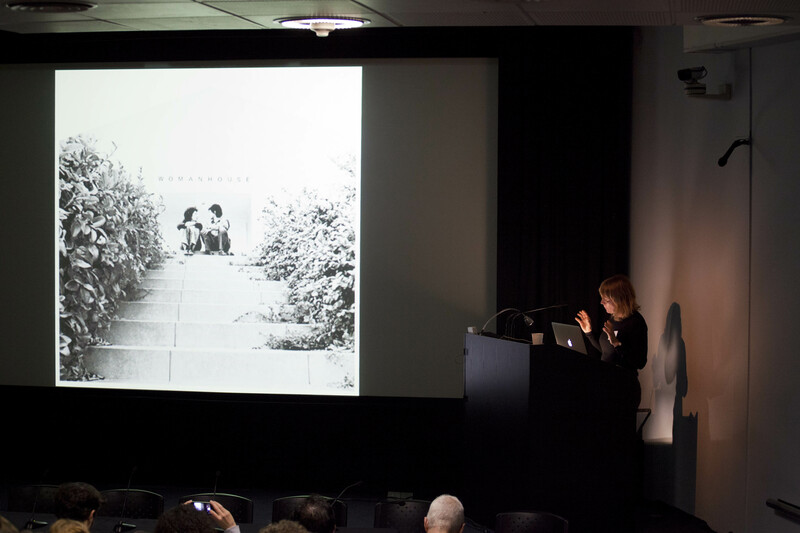 Jane’s talk engages with second wave feminism, which deals with ‘the need for public politics to engage with private life, work and labour, and for the spaces between subjects in the setting of home and family, as well as work, to be understood as cultural formations, formed by, and forming of culture, and thus to be taken seriously by built environment professionals’. 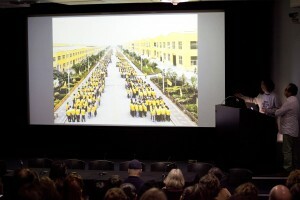 She talks about the work of radical feminists in the 1970s, that would consider work and home, such as the project ‘Womanhouse’ by Judy Chicago and Miriam Shapiro. And continues by reflecting on the emergence of studies on gender in academia in the 1990s. She also refers to a notion that emerged in the previous paper session on ‘Play’, where one of the presenters raised the importance of redefining a problem. Jane relates this to one of the examples she addresses, from muf architects, whose work also focus on examining a project brief in order to redefine the problem, which Jane notes as an important feature that is required in critical design practices. In the case of muf, if redefining the brief meant not making a building, then MUF would make a building. 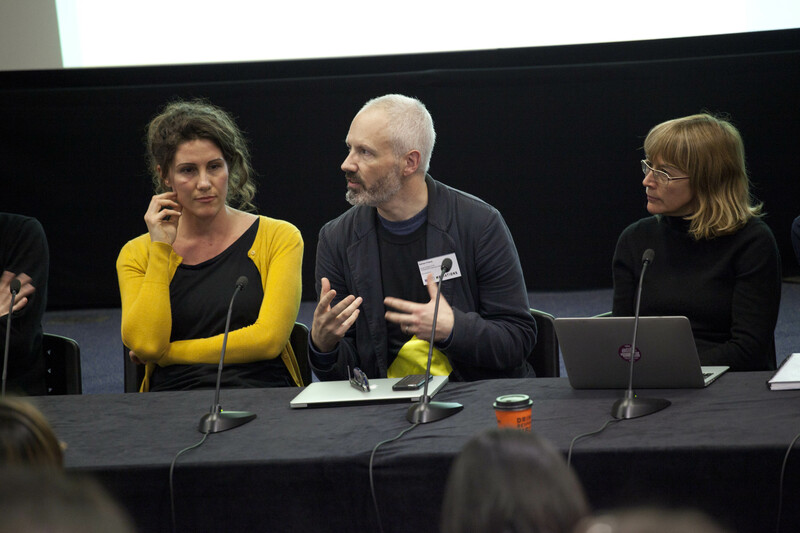 While in the poststructuralist turn, there was a focus on a representation of the real in feminist practices, at the moment there seems to be a movement back to the ‘real’ – back to reality. This is partly born out of a ‘theory-fatigue’ some would say, while it is also related to the current challenging political climate. In today’s ‘fourth-wave’ feminism, we continue working on questions born from the third-wave, questions concerning ‘equal or different’ (critique from within institutions or setting up new structures outside of them), and are moving instead to a notion of ‘equal and different’ – a more positive objective of feminisms. 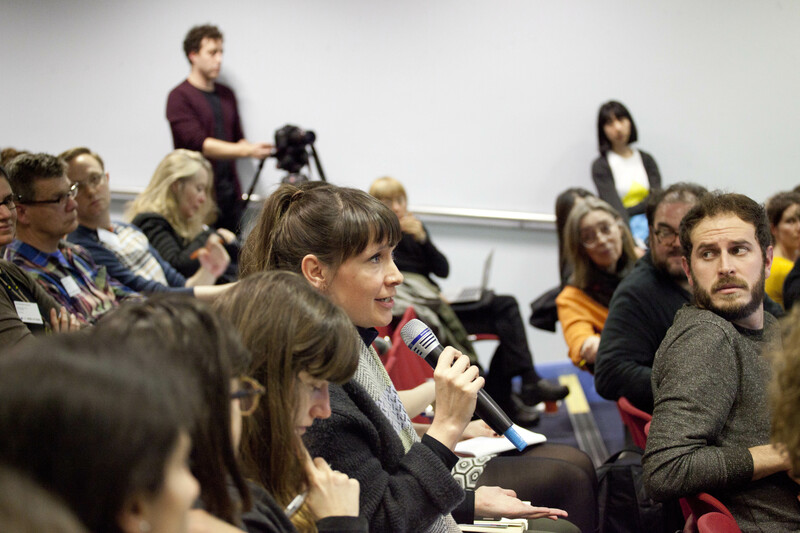 She continues ‘the notion of practicing otherwise, as Ramia also talked about earlier today, from a different and politicised perspective informed by feminism and also by politics and ecology, as in the work by Doina Petrescu from studio aaa (..) a participatory collaborative platform’. From muf’s ‘what it takes to make a relationship to make a thing’ becomes (in studio aaa’s work) ‘what it takes to make a thing to make a relationship’ – where spatial production can function as an alias for the remaking of social relations. What’s important in Doina’s work is the reconfiguring relationships to facilitate more kinds of agency or action. In this shift of different periods in feminist practice, Jane herself has made the shift of working in practice (e.g. 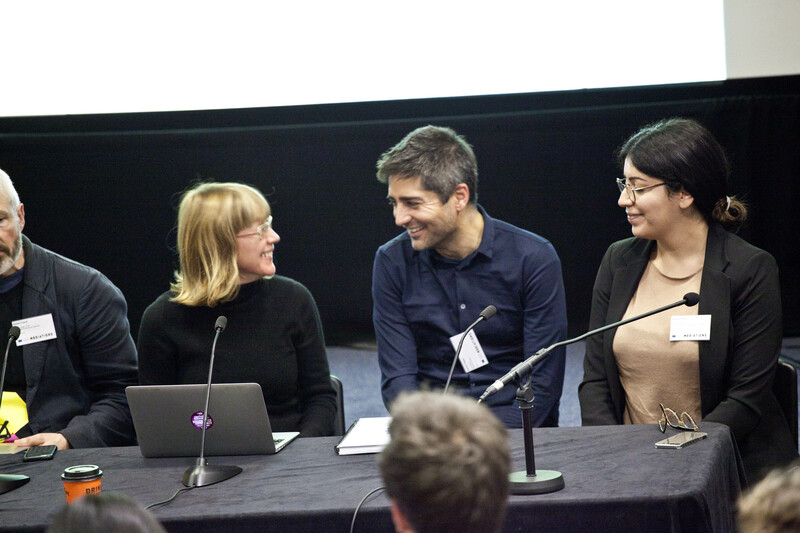 making architecture in social housing and with Matrix) to working in the academy as a researcher, teacher, writer, enabler and engaging in feminist architectural history. She continues by discussing her work on ‘site writing’ and home-work displacements, where she has learnt that the act of ‘speaking out’ is part of a critical spatial practice. 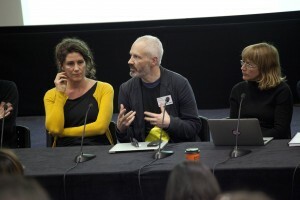 After Jane’s keynote the second parallel session took place, where participants could choose between two paper sessions – ‘Art & Design Interventionism and Long-term Participation: an Uneasy Relation?’ and the combined paper session ‘Agency in Mapping, Curating and Data in the City’. The first day concluded in an informal reflection and discussion hosted by Ethel and César from dpr-barcelona and was followed by a reception, where participants could continue the discussion in an informal setting. 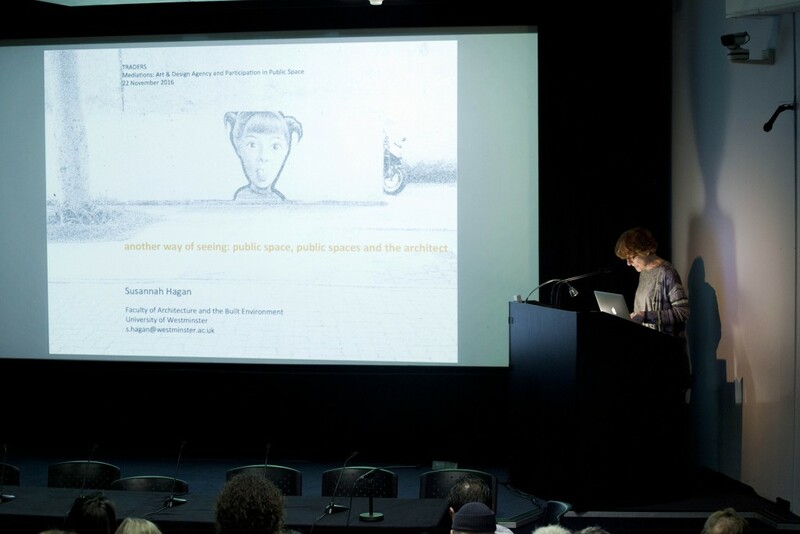 We kicked-off the second day with a keynote from Susannah Hagan, who discussed the concept of public space by examining the notion of ‘space’ as well as the ‘public’. She gave us an historical view on the development of several public spaces and illustrated how the discourse on public space has shifted over the past decades. 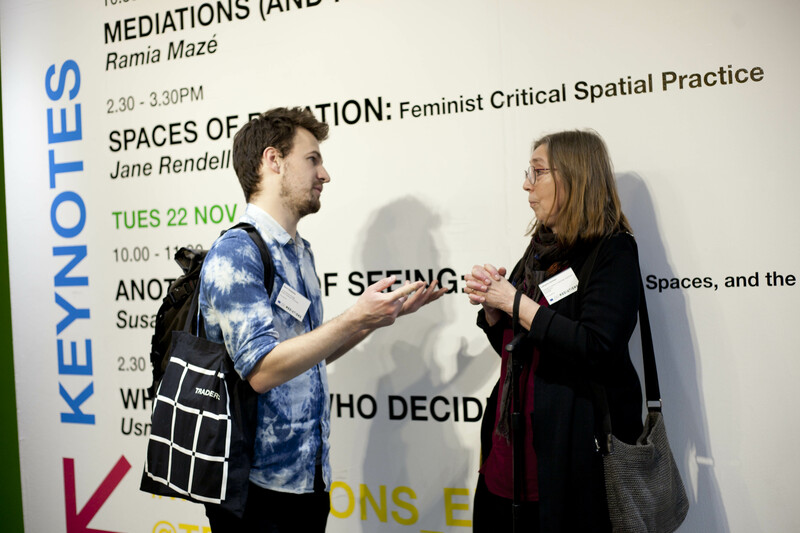 The aim of her research is to reintroduce the notion of spatial configurations and design in the discourse on public space, which for a great part has been dominated by the social sciences, where public space is primarily examined as a political space of co-constitution and contestation. The spatial aspect, as well as the role of design and designers, have therefore become endangered categories in public space discourse. She argues that locating design and designers in a discourse that centres around governance, access and management is difficult and her work therefore focuses on bringing together design and debates over its uses. 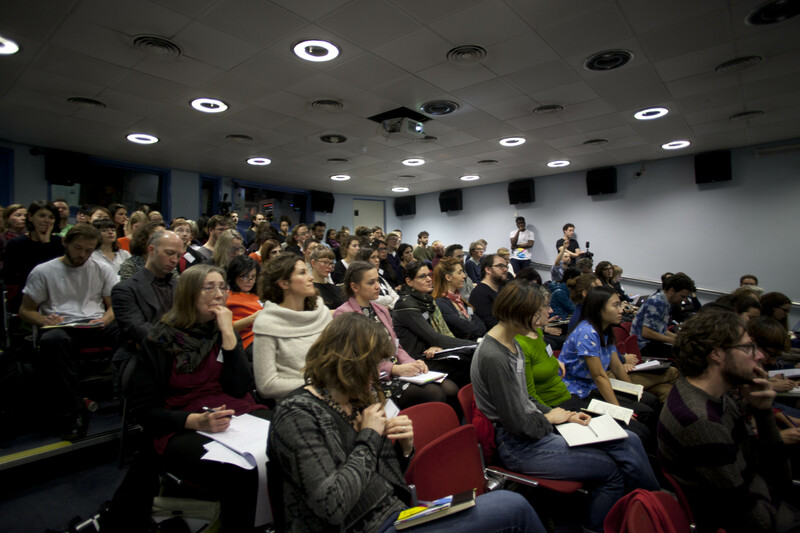 Following Susannah’s keynote, the third and final parallel session took place, where participants could choose to take part in the second round of the interactive exhibition workshop, or attend the final paper session on ‘Multivocality, Design and Public Space’. Usman was our closing keynote, and he started his talk by expressing how this specific talk was going to be difficult for him. He had been following the conference on Twitter and found the discourse to be phenomenal. However, he had difficulty with preparing a closing keynote that would be upbeat and positive, during such globally precarious times, and mentioned that things at the moment seemed pretty bleak. But for his talk he found it important to still talk about the positive things. He wanted to discuss some of his projects and focus on their failures, i.e. their limitations. He substantiates this approach through his view on participatory projects, where he finds that the extent to which a project succeeds is equivalent to the extent in which it fails. 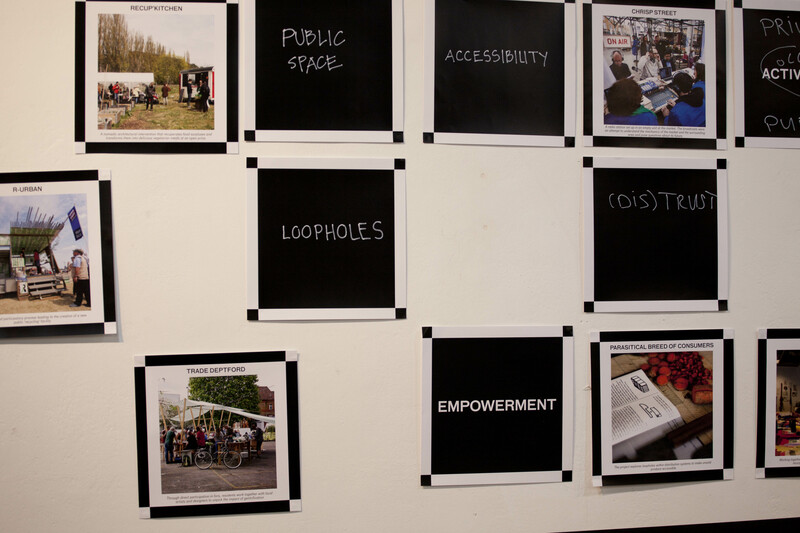 Embracing this failure is essential in learning about participatory practices and their realisation in urban systems. He explains the crux of participatory projects by referring to city councils. According to Usman, it is very difficult for councils to do participatory projects with citizens because it is hard to measure the ‘success’ of such projects and the chances of failure are very high. And citizens hold their councils accountable for money misspent. This dynamic therefore precludes from any innovative participatory projects to infiltrate itself into the way we build and design cities. He continues with a message: ‘in participatory projects we have no idea what the end product is, and we will all have to figure it out together’. The final reflection was chaired by Ethel and César from dpr-barcelona, who invited the keynote speakers that were present – Jane Rendell and Usman Haque – to the stage together with the TRADERS team of researchers and supervisors for a panel discussion. In this discussion, we reflected on the role of the TRADERS project in bringing together different art and design fields and operating in the space in-between disciplines and institutions. 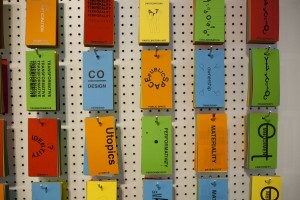 Some articulated that the success of TRADERS is due to its position between institutions, which has enabled the project to bridge the gap between them, but also allowed for a different way of seeing – being situated both in- and outside the institution – in order to critically reflect on existing institutions and to speculate about and imagine new ones. The discussion was then opened up to the audience by asking for their input, positions and thoughts on the conference and on TRADERS. From the audience, we received very positive feedback on both the project and the conference, which they found to be very accessible, inclusive and dialogical in an overall pleasant and welcoming environment. During the conference, we aimed to demonstrate the relevancy of cross-disciplinary platforms, such as TRADERS, for enabling exchange between practice and research. Furthermore, with this conference we aimed to trigger a critical awareness amongst an art and design audience regarding their role and agency in participatory projects. 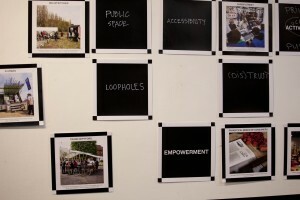 TRADERS aims to bridge the gap between art and design practice and research by providing a space to trade knowledge, ideas and opinions on participatory art and design through several project outputs, such as an online discussion forum TRADERStalk, a final exhibition (Spring 2017), a book publication and a special journal issue in CoDesign (Autumn 2017). At the November conference, we also offered different modes of delivery. 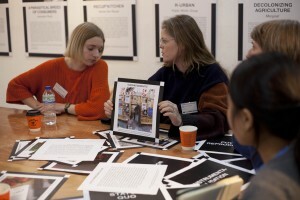 As well as traditional paper presentations, two interactive exhibition sessions took place, where a co-curatorial approach was employed to rethink theory through art and design practices. The workshop aimed to unpack the notion of agency and expand its definitional contours by rooting it in practice and exploring it collectively through conceptual mapping. 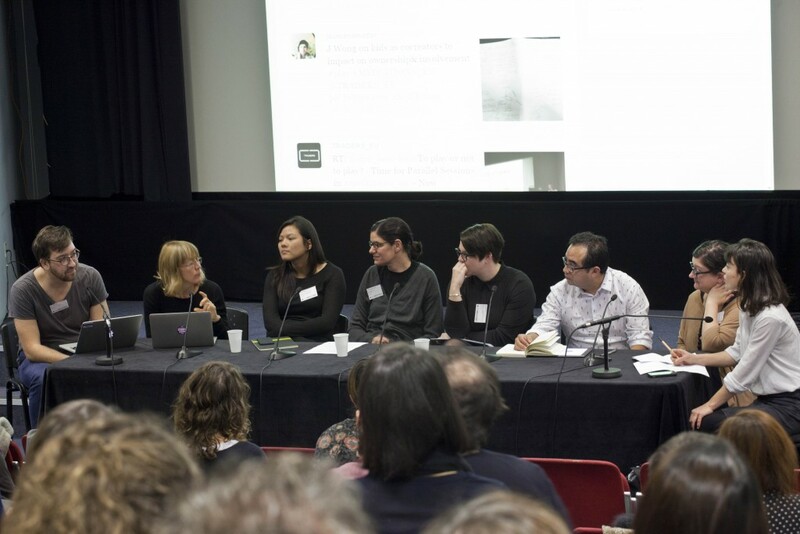 With this conference, we hope that the notions and ideas emerging from the discussions have planted seeds for further explorations and will support a continuing development of more international and trans-disciplinary research projects within – and in-between – different art and design disciplines. 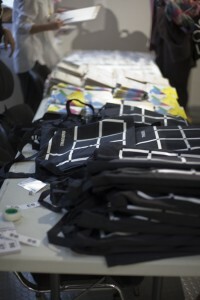 The conference proceedings, photographs and illustrations of the conference can be found here. Videos of the conference can be found on our YouTube channel. A link to all tweets before, during and after the conference (#MEDIATIONS_EU) can be found here. 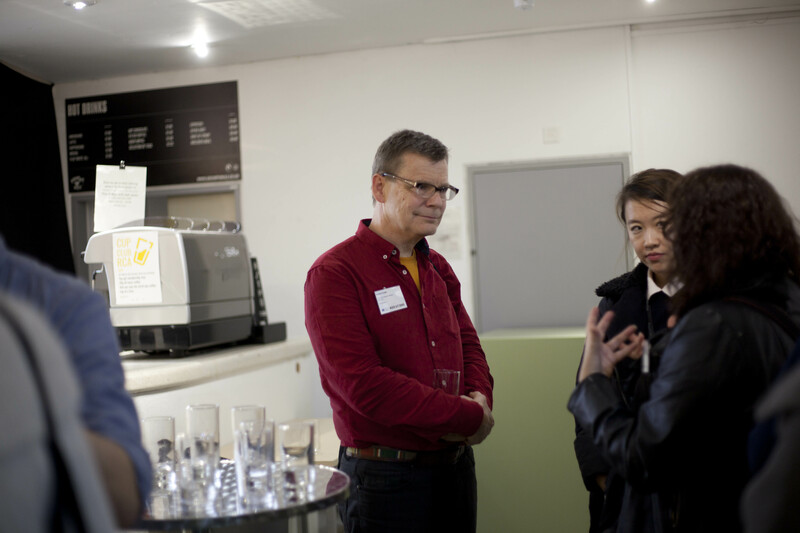 We would like to thank all participants for their valuable contributions in our programme and discussions.